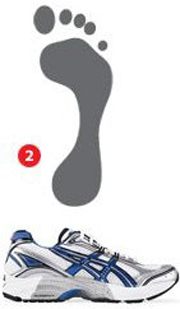 Choose a supportive shoe that is designed for stability and motion control. These shoes help to correct for overpronation. 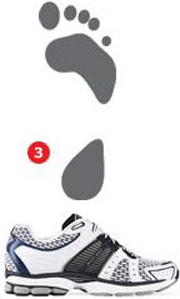 Choose a shoe with equal amounts of stability and cushioning to help absorb shock. 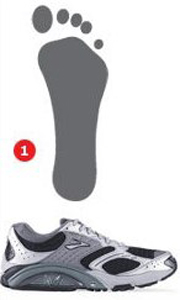 Choose a cushioned running shoe with a softer midsole and more flexibility. This will compensate for the poor shock absorption of a high-arched foot.